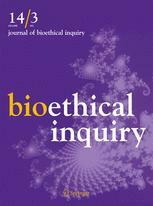 Kaisu Koski and Johan Holst, “Exploring Vaccine Hesitancy Through an Artist-Scientist Collaboration: Visualizing Vaccine-Critical Parents’ Health Beliefs,” Journal of Bioethical Inquiry 14, no. 3 (2017):1-16. Visualizing Vaccine-Critical Parents’ Health Beliefs"
This project explores vaccine hesitancy through an artist–scientist collaboration. It aims to create better understanding of vaccine hesitant parents’ health beliefs and how these influence their vaccine-critical decisions. The project interviews vaccine-hesitant parents in the Netherlands and Finland and develops experimental visual-narrative means to analyse the interview data. Vaccine-hesitant parents’ health beliefs are, in this study, expressed through stories, and they are paralleled with so-called illness narratives. The study explores the following four main health beliefs originating from the parents’ interviews: (1) perceived benefits of illness, (2) belief in the body’s intelligence and self-healing capacity, (3) beliefs about the “inside–outside” flow of substances in the body, and (4) view of death as a natural part of life. These beliefs are interpreted through arts-based diagrammatic representations. These diagrams, merging multiple aspects of the parents’ narratives, are subsequently used in a collaborative meaning-making dialogue between the artist and the scientist. The resulting dialogue contrasts the health beliefs behind vaccine hesitancy with scientific knowledge, as well as the authors’ personal, and differing, attitudes toward these.